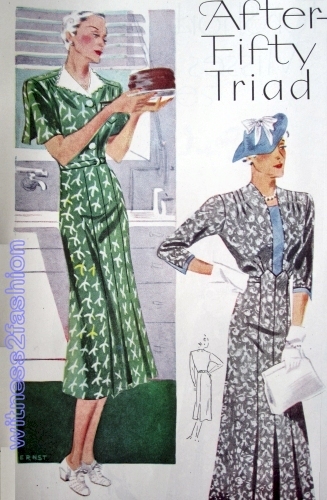 Print dresses for Spring, 1934. 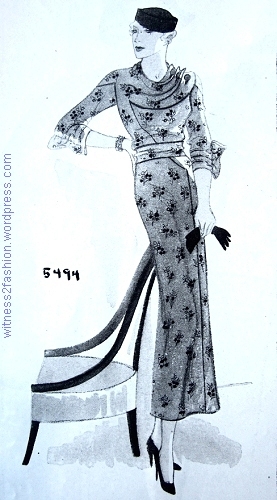 Butterick patterns 5494, 5527, 5507 from The Delineator, Feb. 1934. 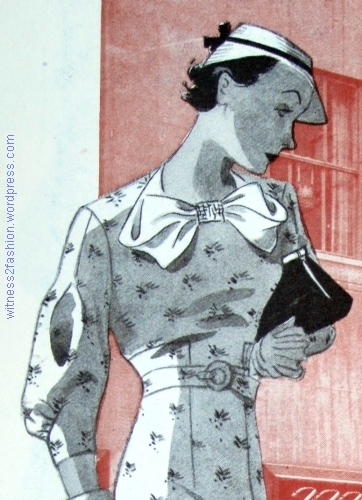 Eighty-one years ago, these print dresses were illustrated in The Delineator magazine, a Butterick Company publication. 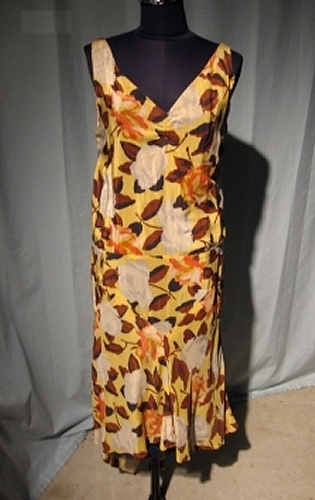 Print fabrics were suggested for both day and evening wear. I’ll show some close-ups of each dress, because the details are so lovely. 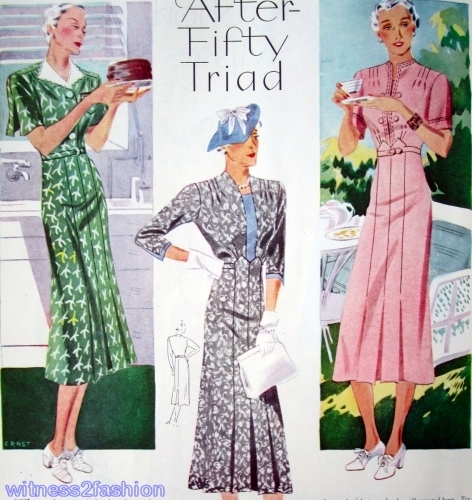 Butterick pattern 5494, Feb. 1934. “The fruit prints are very charming, especially the berry, apple and pear ones. 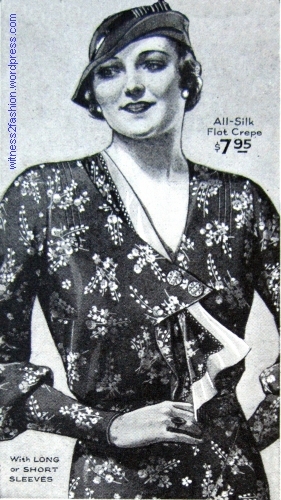 A raspberry print is used for dress 5494, a frock distinguished also for its new type of high cowl neckline, buttoned to one shoulder and its sleeves that go just beyond the crook of the elbow.” — The Delineator, February 1934, p. 72. What I really like about this dress is the unusual cut of the bodice and sleeves, and the way the diagonal seam is carried down into the skirt. 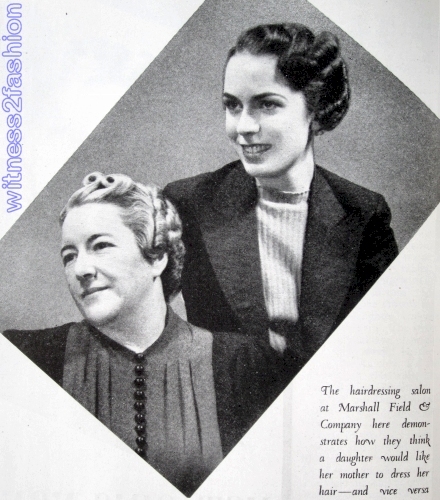 Butterick patterns 5527 and 5507, February 1934, The Delineator. 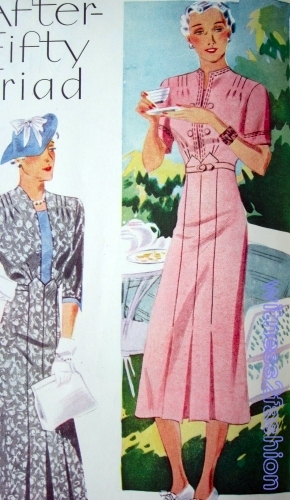 Dress details, Butterick 5527 and 5507, Feb. 1934. 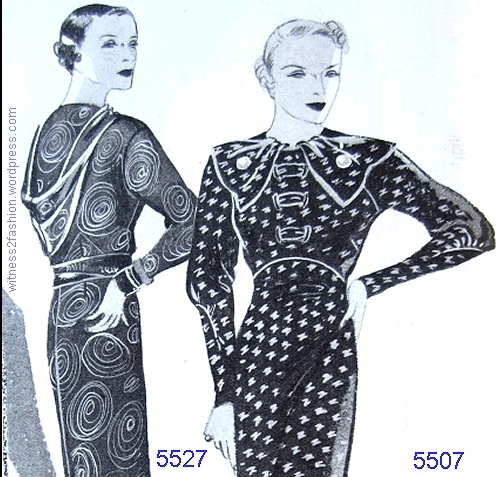 Top details of Butterick 5527 and 5507, Feb. 1934. Big bow/collars like No. 5507 were also popular in white. Notice the way the sleeves echo the curve of the bodice. 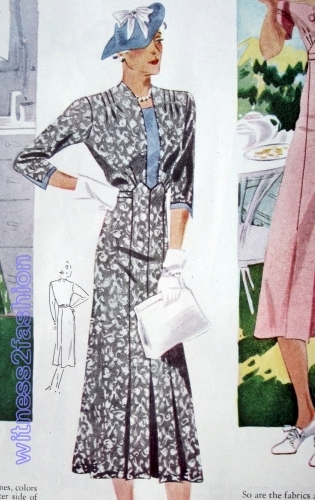 Butterick dress pattern 5609, April 1934, The Delineator. It also has fullness gathered into curves on the sleeves, like No. 5507. 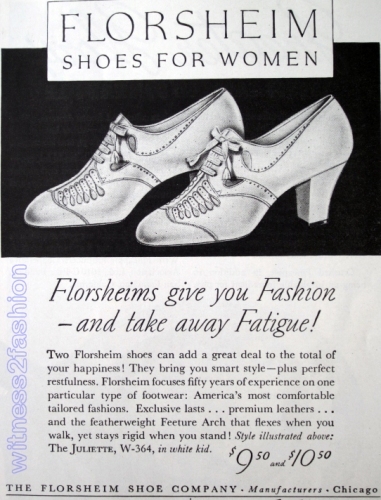 Lane Bryant catalog for stout women ad from The Delineator, Feb. 1934. 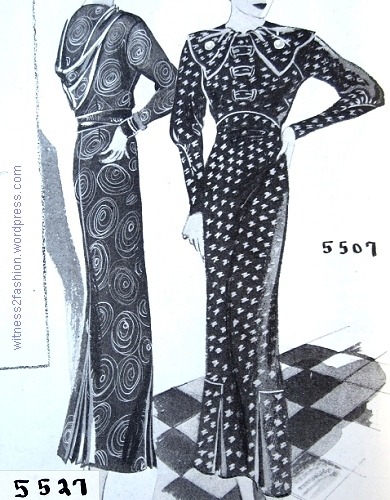 Butterick evening gown patterns 5534 and 5526, Feb. 1934. The Delineator. 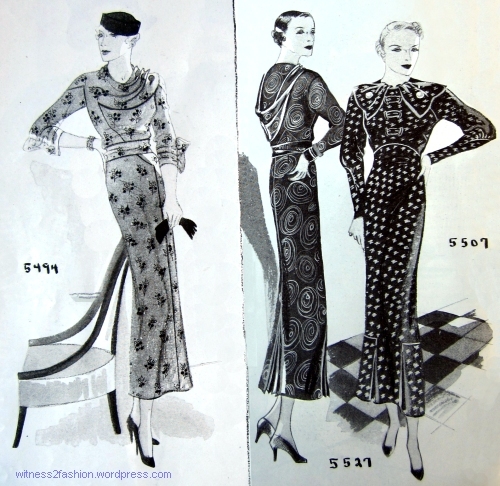 Details of Butterick patterns 5534 and 5526, from Feb. 1934, The Delineator. Number 5526 doesn’t use print fabric, but that description — a single seam bias skirt and a built-in bra — is pretty interesting! 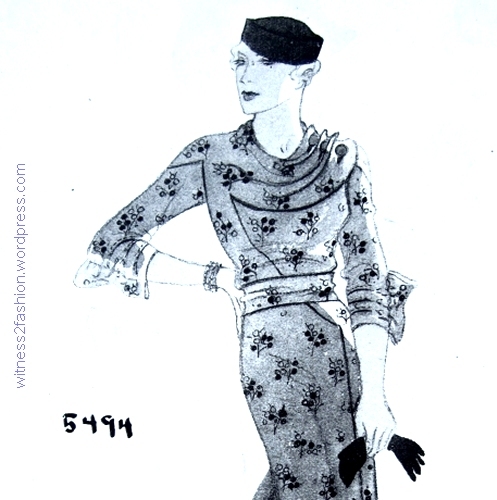 Vintage print evening dress, circa 1929. 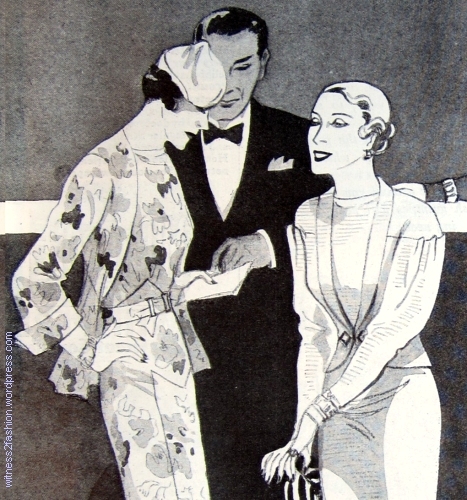 It is several years earlier than the patterns from 1934; it has a handkerchief hem which is much shorter in front than in back. 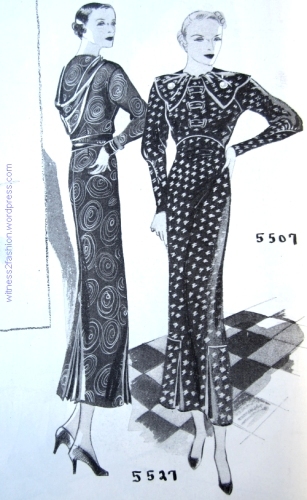 These transitional gowns were popular around 1929 — this example is from Paris, by Lucien Lelong. 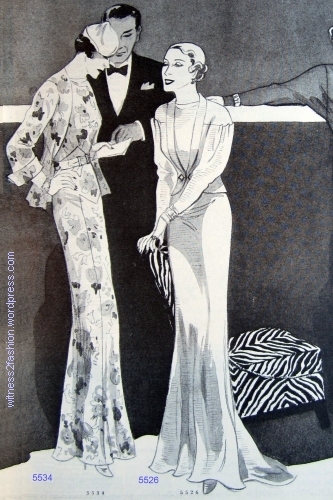 Navy Taffeta Gown by Lucien Lelong, pictured in The Delineator, August 1929. A closer view of the front of the vintage dress shows a dropped waistline, too. 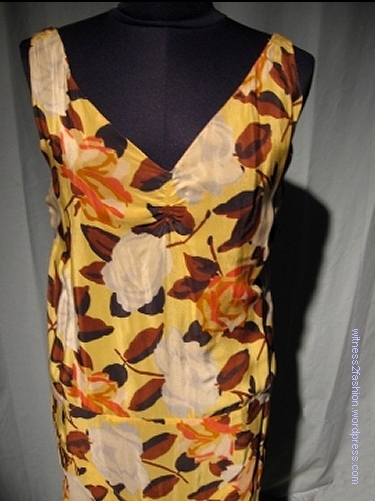 It is made of print chiffon over a silk lining. 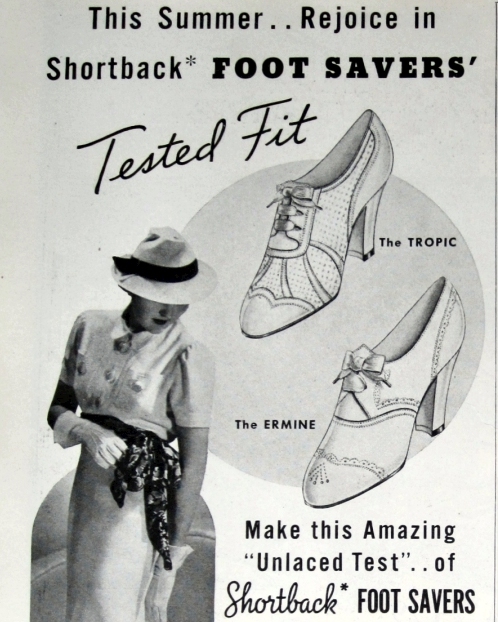 Like many gowns of the 1930s, it depends on a bias cut for its effectiveness. 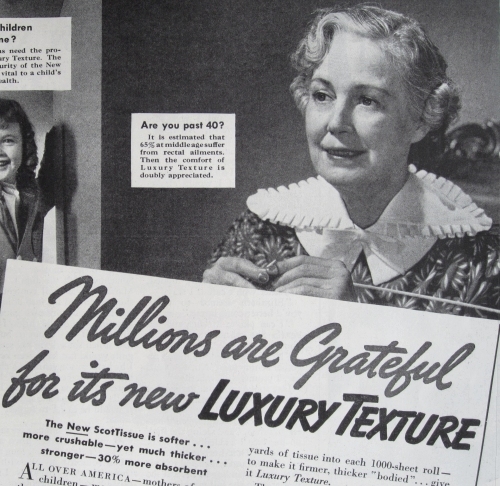 The use of bold, printed fabrics spanned several decades.